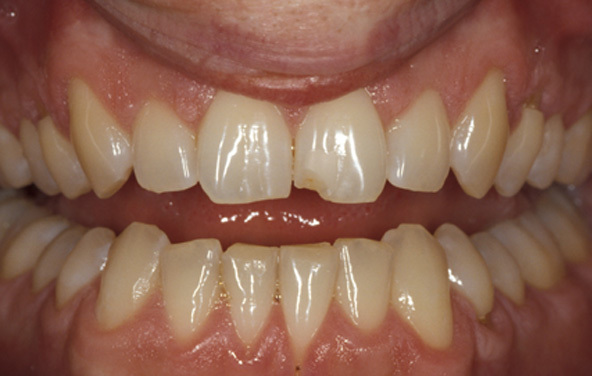 This patient was concerned about the appearance of her smile. 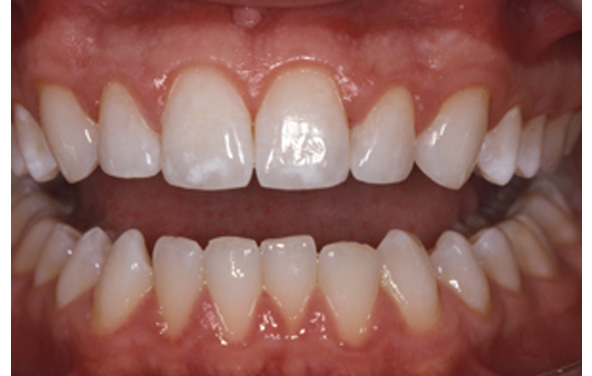 Chipping and wear of her right central incisor caused her smile to be asymmetrical. 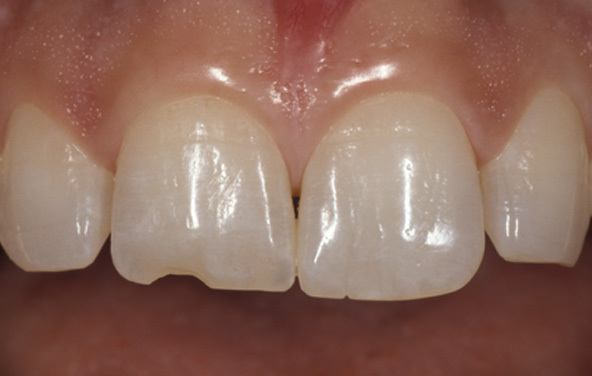 Composite was used to repair the chip and to lengthen the tooth. The result was a conservative and invisible solution, restoring both beauty and confidence. Unattractive composite bonding. 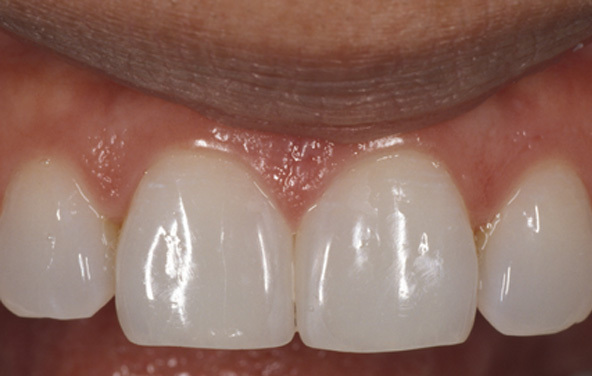 Small "peg-shaped" teeth sometimes have spaces between them. 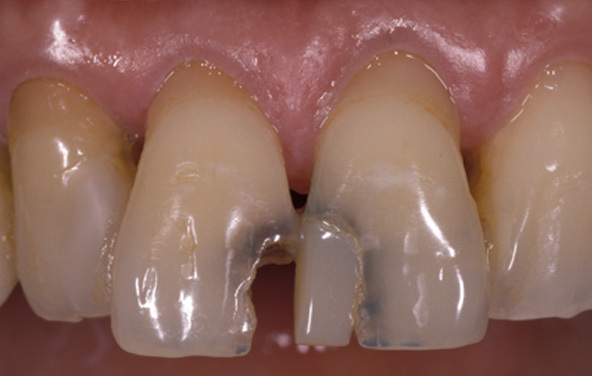 Another dentist tried to solve this aesthetic problem using composite bonding. But the composite was dull and opaque, and the shapes were not correct. Attractive composite bonding. 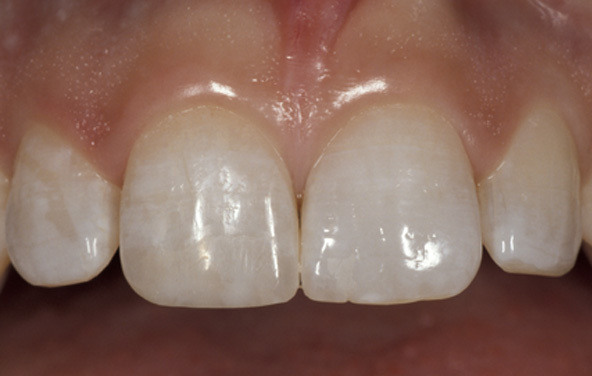 The old composite was removed, the teeth were whitened, and then a more conservative application of composite filled the gaps and gave better contours to the teeth. This patient had cosmetic concerns about her smile. 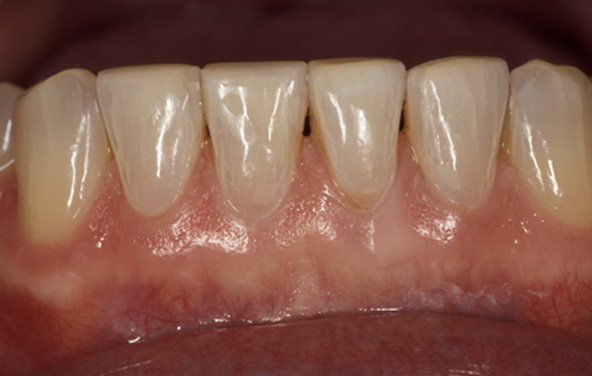 The upper right central incisor had an old restoration that was becoming worn and discolored. She was absolutely delighted by the result. 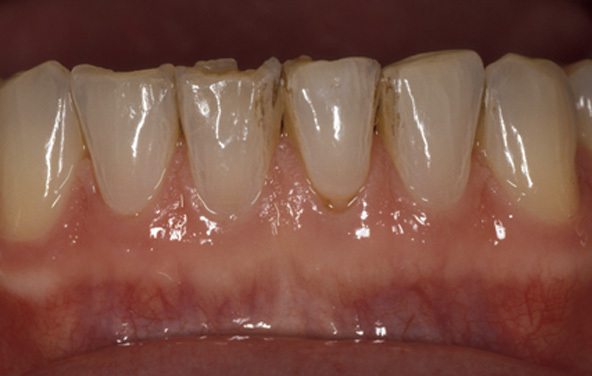 Bonded composite was used to create a virtually undetectable repair. This patient's dental health was in jeopardy. 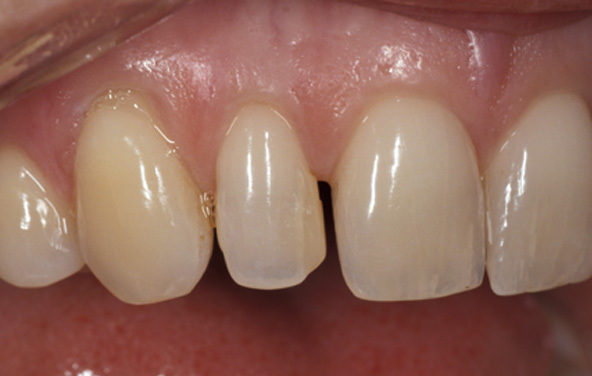 Advanced deterioration from failing restorations and large cavities threatened the longevity of this patient's teeth. 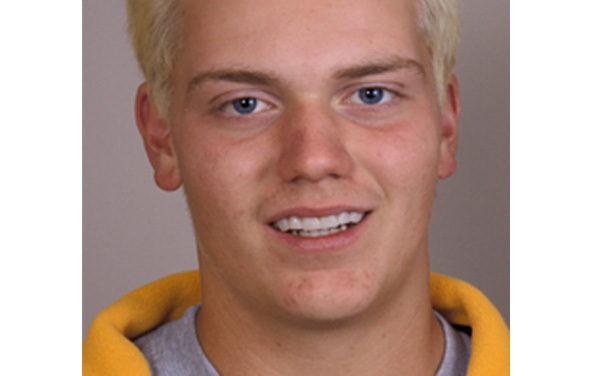 Composite restorations were used to restore his smile. He was pleased with the visible improvement of his appearance. 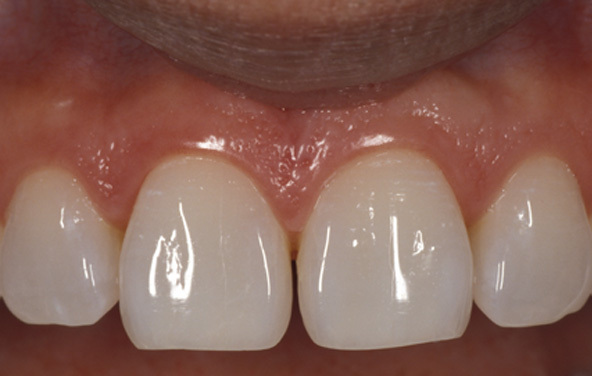 This patient found the spaces between her teeth to be unsightly. Spaces like this sometimes occur when teeth are very small. 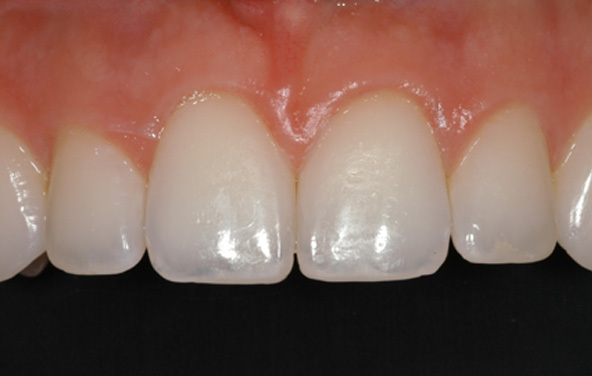 Composite bonding is often the best and most conservative solution. 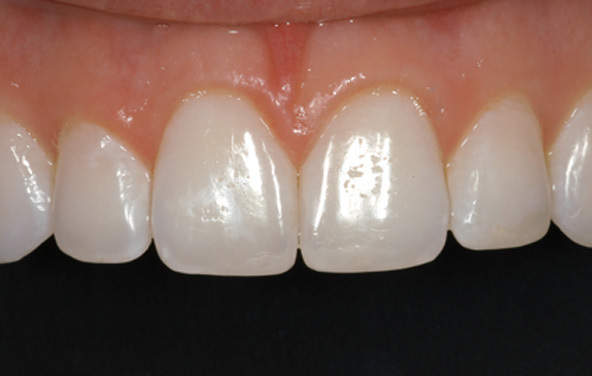 Composite was bonded, creating a fuller and prettier smile. 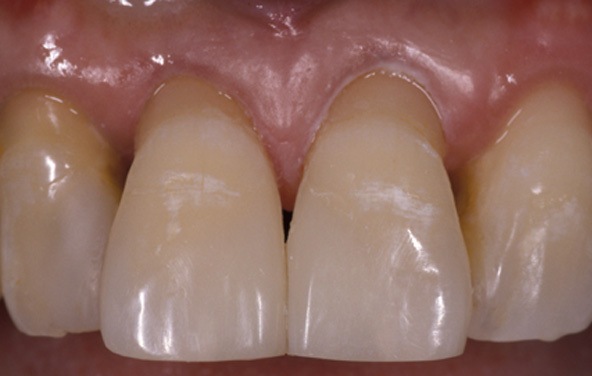 It was applied between the teeth in order to close the gaps and give this patient more confidence in her smile. Even a small chip in the front of the mouth can seem huge. 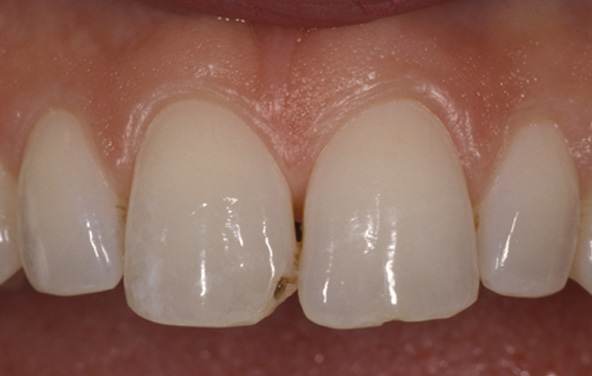 This patient had some chipping on both of her central incisors, and she wanted to reclaim her full smile. Her smile was restored with composite bonding. 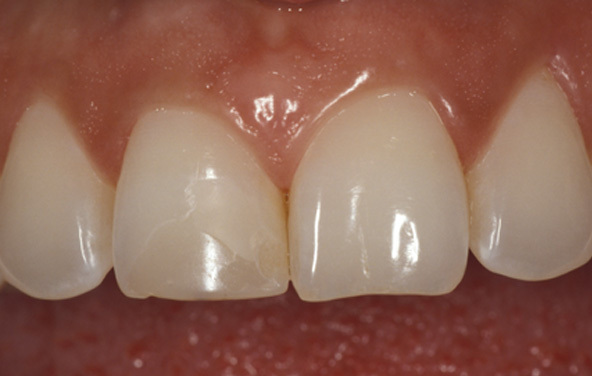 The rough edges were smoothed, and the missing tooth structure was replaced with bonded composite. It's amazing how this simple procedure revitalized her smile. Dentists sometimes need dental work, too. 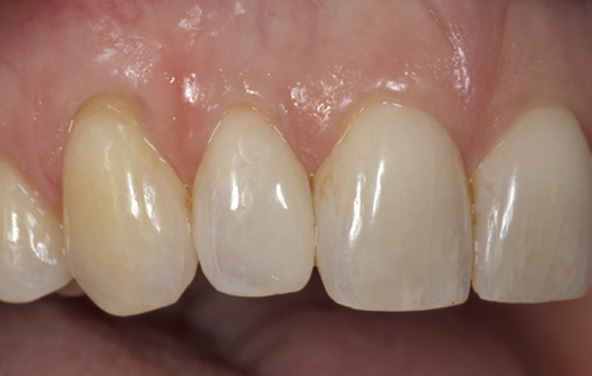 This dentist had wear, chipping and stains on his lower incisors. 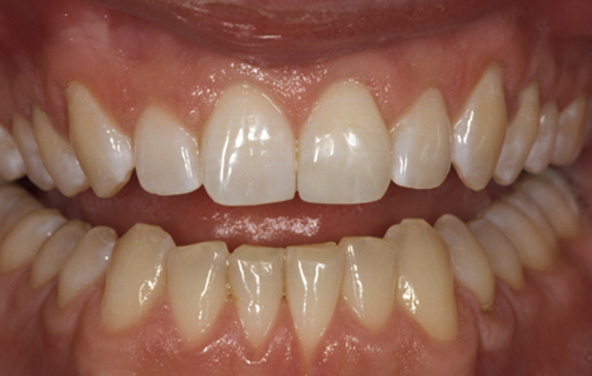 Composite restorations and whitening provided a conservative solution. 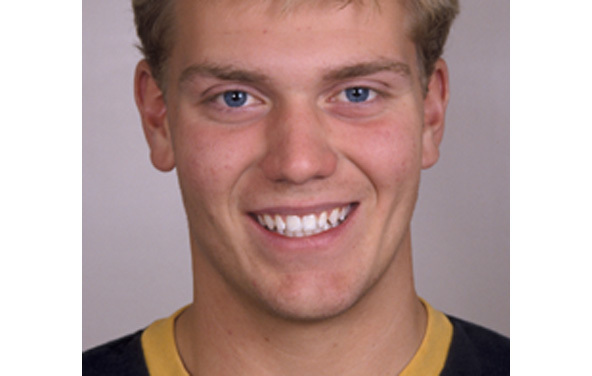 He was quite pleased with the subtle yet distinct improvement to his especially important smile. Note to readers: Use scissors! This chip occurred while attempting to open a package, and this patient was desperately seeking a way to recover her smile. 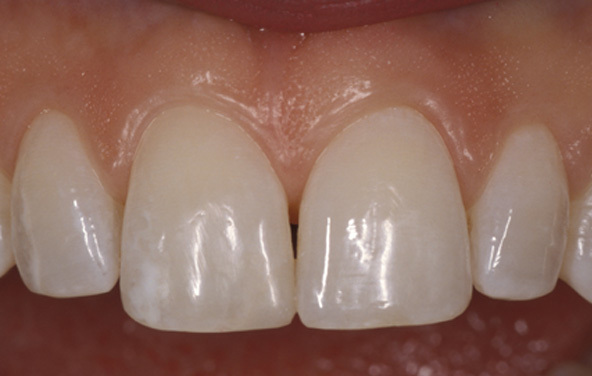 Composite bonding was a simple and effective solution. 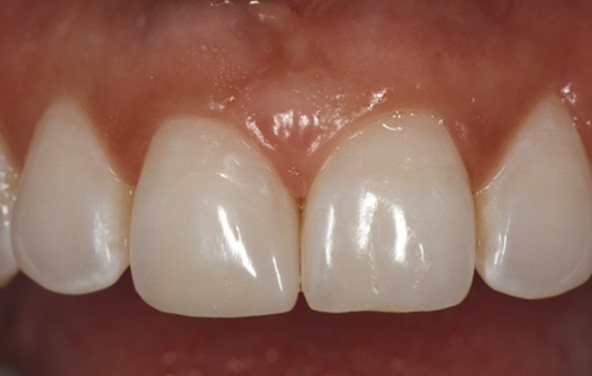 With a bonded composite restoration, she left looking as good as new. She assured me she would reform her method of opening parcels. This patient came to us seeking a cosmetic solution. She was concerned about small spaces between some of her teeth and was looking for a way to improve her smile. The result was both conservative and attractive. Composite was used to close the gaps, and her smile was given new vibrancy. 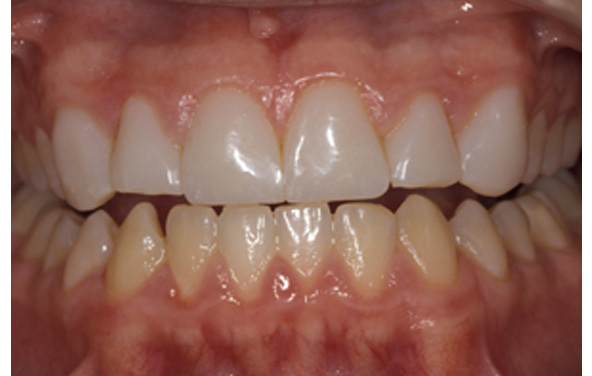 This patient was concerned that her teeth were too translucent. She felt her teeth were unattractive due to the grey appearance near the biting edge. Composite bonding was used to mask the translucency. This simple procedure gave a prettier and whiter appearance to her smile. All clinical photography is unretouched and provided by Dr. Bryant and Dr. Pavinee.